With the Escalante 1.5 we've taken Altra's best-seller in history and revamped the upper to make it even better. The brand new upper is more breathable, highly reflective and features a sleeker heel cup for increased performance and comfort. 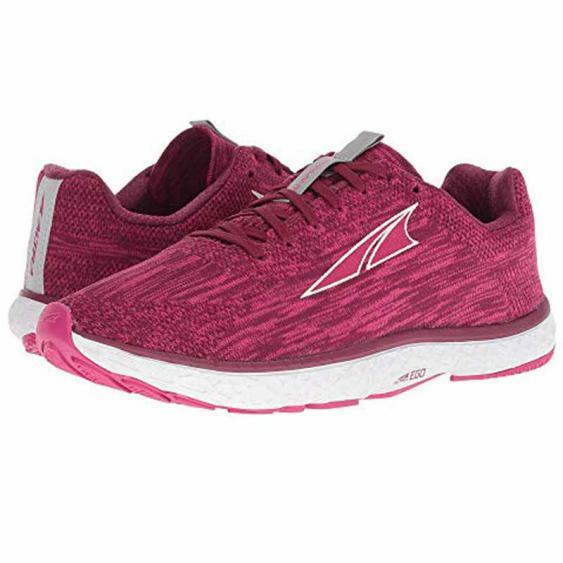 Fresh color patterns coupled with the wildly popular Altra EGO midsole give this shoe an unbeatable, elegant, high performance look and feel. FIT4HER: The Fit4Her technology means we customize every women's shoe to the unique anatomy of the female foot. ALTRA EGO: Dual-Nature midsole compound with a responsive, yet soft feel for increased energy return. FOOTPOD TECHNOLOGY: An outsole technology that actually maps the bones and tendons of your foot to help it bend and move naturally.